The vision of Woodfordia Inc. for its Woodfordia festival site is more than the dream of security in owning its own home—it is a dedication to future generations. Woodfordia Inc. believes that the future of our community and environment are intertwined and that our commitment to caring for the land is integral to the organisation’s values—which is why the Woodfordia festival site is a cultural parkland dedicated to the arts, humanities and folklore. When the Woodfordia Inc. purchased a permanent home for the Woodford Folk Festival in 1994, it was an enormous relief and a great responsibility. Festival organisers knew that the 240-acre cleared and degraded rural property, was going to take a lot of work to transform it to a festival site. In 1997 the QFF launched the first May weekend working-bee where a band of committed volunteers gave their time and toil for the planting of trees. It was the first step towards restoration and regeneration of the property. Established as an annual event, the Tree-Planting Weekend became a much-loved opportunity for the organising group and friends to play with the soil and do their bit for the place they were growing to love. Since its beginning, the Tree-Planting Weekends have put over 100,000 trees into the ground and been an enormous and successful effort in nurturing existing environments, encouraging species diversity, as well as weed management and eradication. Trees planted over ten years ago tower overhead casting shade—the wildlife has burgeoned and plants blossomed so that there are new seedlings sprouting of their own accord under the canopy. The results of all this work have been rewarding. The Tree-Planting Weekends grew, with people bringing friends and families to share in the joyful activity of planting trees and being in the outdoors. They became more than a working bee with the introduction of educational talks and activities, with some fantastic cultural events thrown in for unwinding at the end of the day. Now a programme full of talks, presentations and performances vies with the daily planting and weeding activities, for time in a busy weekend schedule. We have watched The Planting grow organically from a grassroots Tree-Planting Weekend into an event fostering open learning and discussion of environmental issues—with explorations of subjects ranging from raw foods to invertebrates, the local pond to climate change. Primarily though, the event remains dedicated to a nurturing of the site to reach its natural potential as a forested parkland for the enjoyment of present and future generations. Our traditional Custodians are members of the Jinibara Nation. The Jinibara people are the registered Native Title Holders for the Woodford area and are comprised of the descendants of Fanny Mason, known as Jowalmel, who was born in the 1840’s at Woodford and Johnny McKenzie, known as Wangiramu, born in 1826 near Kilcoy. Our Custodians Uncle Noel Blair and Uncle Kenny Murphy have been appointed by the elders of the Jinibara to act as their spokespeople and representatives. The world of the Jinibara is rich in Dreaming places and ceremonial grounds including Bora rings, stone arrangements, camping places, food resource areas and story places. The Jinibara Peoples have many stories that connect them with country and ancestors. 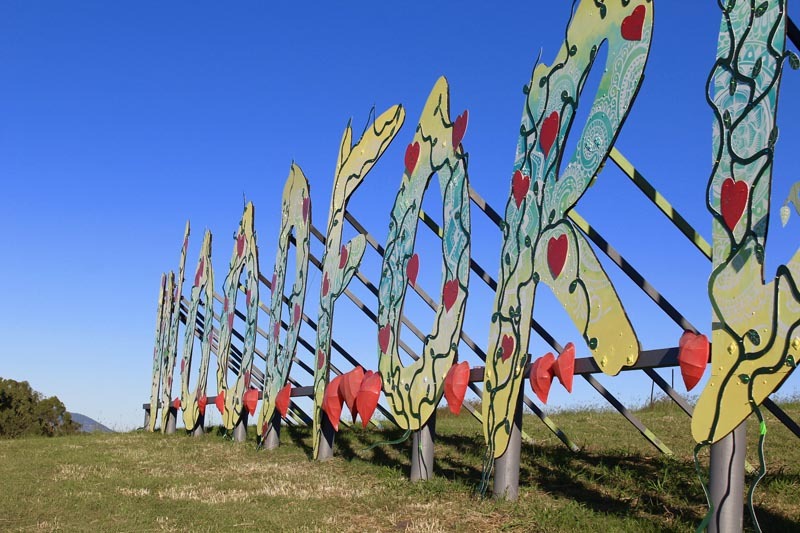 Today, the land is managed by Woodfordia Inc., dedicated to the arts and humanities and is underpinned by a strong commitment to the environment. Woodfordia Inc. is a not-for-profit organisation (Incorporated Association) and a recognised charity. 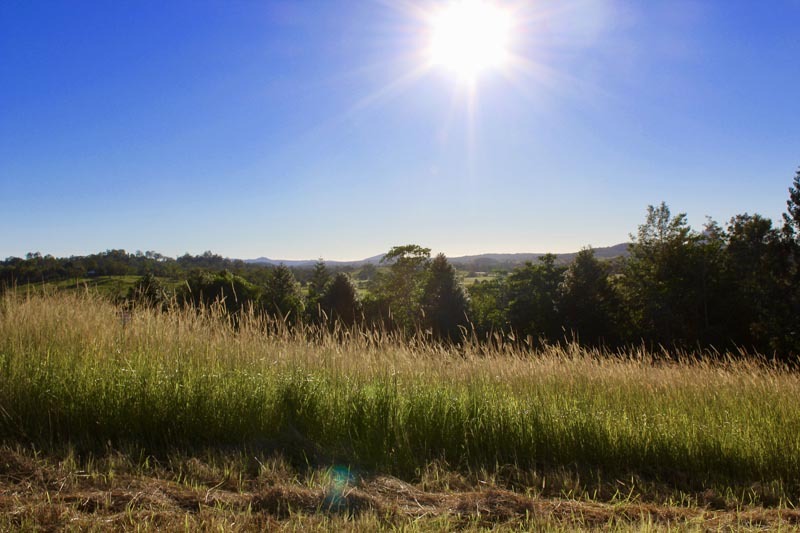 Woodfordia purchased the site in July 1994 for the purpose of securing a permanent home for the then Maleny Folk Festival and since then has made considerable inroads in transforming the site from a dairy farm to parklands. Festival-goers are now able to camp in the shade of trees they themselves planted. 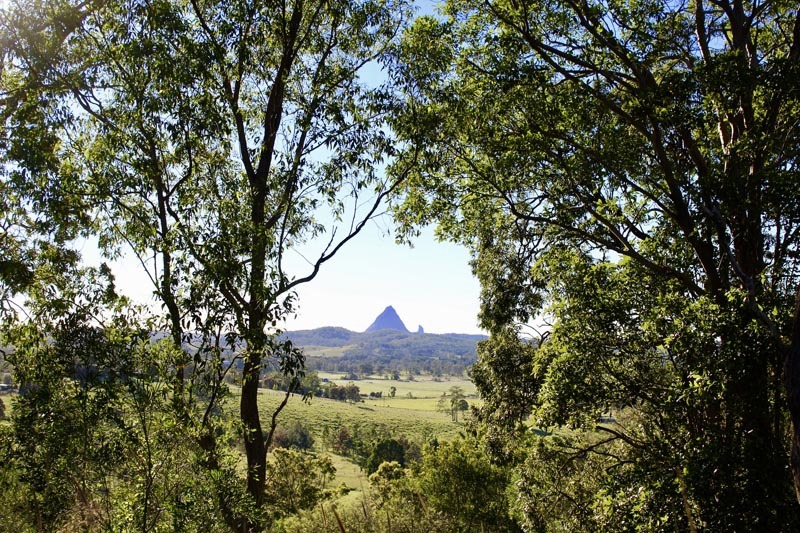 Since 1994, Woodfordia Inc. has purchased three additional parcels of land: an 82-acre property located adjacent to the current site, a 40-acre property located adjacent to the land and a 40-acre property with two residential houses located on the corner of Woodrow Road and Beerwah-Kilcoy H’way.